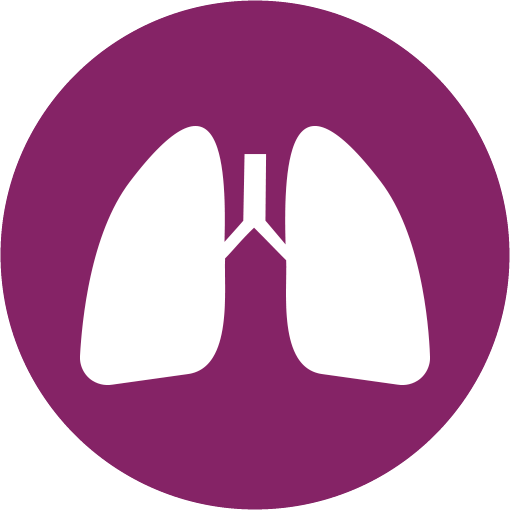 A pneumology consult is indicated for a general assessment of the respiratory system. This consult is particularly useful for smokers or former smokers, and people suffering from asthma, sleep apnea, and other respiratory disorders. Lungs should also be checked in case of a cardiac, systemic (diabetes), or neurological disease that could involve the pulmonary system. The lungs can be assessed measuring the volumes of inspired and expired air. These volumes can decrease in the presence of a chronic disease of the lung, heart or other organs. Also, the lung function can be altered if the person suffers from obesity, is overweight, or a smoker. Spirometry is an important test for early diagnosis of chronic bronchitis, or even just to assess the respiratory capacity of patients performing physical activity or undergoing rehabilitation. The test is neither painful nor invasive. A plan of care for chronic lung diseases (chronic bronchitis and emphysema) can be determined after a medical consult and a series of diagnostic tests. This plan of care includes physical exercise and respiratory therapy programs, but also an appropriate diet and other supporting therapies including phytotherapy (herbal medicine) and ozone therapy. This integrated approach can improve the quality of life of lung disease patients, increase their endurance to stress, and reduce pharmacology therapies. Snoring and sleep apnea can cause respiratory and cardiovascular diseases. Therefore an early diagnosis of a sleep-related disorder is crucial. This diagnosis can be determined with home sleep monitoring and apnea testing. A correct therapy can be implemented to prevent several disorders such as stroke, and work-related injuries, or car accidents caused by a poor quality of sleep due to apnea.